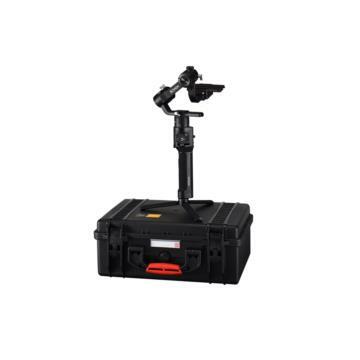 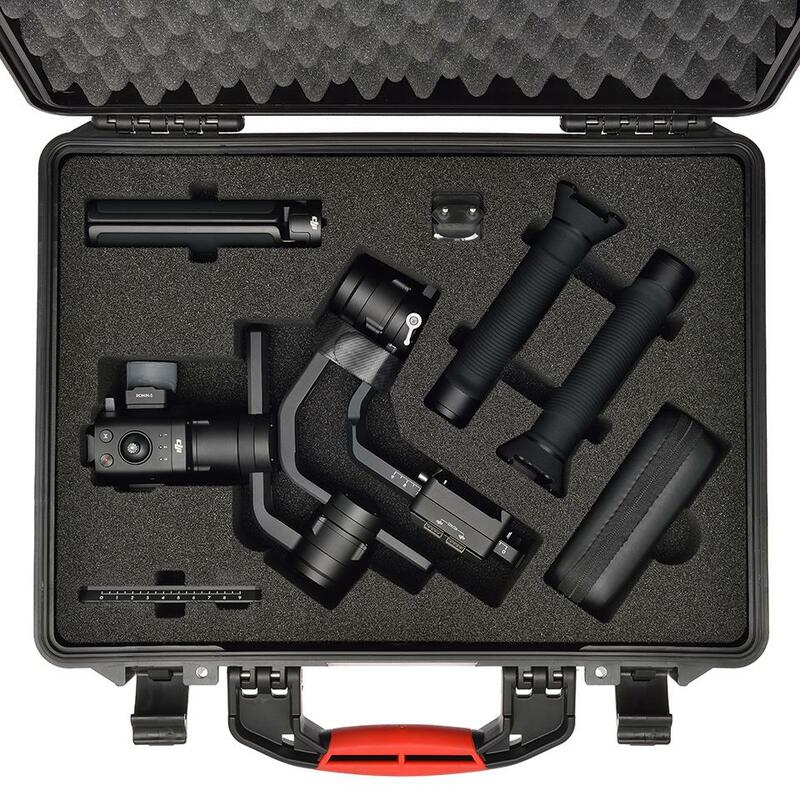 This watertight and waterproof hard case, based on the HPRC2500 series, is specifically designed to easily transport the DJI RONIN S. It features a pre-cut high-density foam interior that holds the gimbal and everything that comes in the box, guaranteeing their transport in one container, in complete safety. Thanks to the lightweight and to the ergonomic handle, as well as resistant, the case is also very handy. Carry-on approved size. 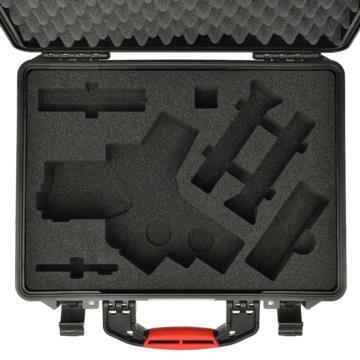 The case is impact, drop and corrosion resistant, and features a neoprene seal that, when properly closed, keeps the case watertight and your gear protected even if submerged in shallow water.